Looking for a small tree/shrub with brilliant fall color to liven up the landscape this autumn? Consider the aptly named serviceberry, ‘Autumn Brilliance,’ which sports gorgeous orange/red fall color and is disease resistant. 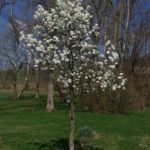 Read on to find out how to grow an Autumn Brilliance serviceberry and information on general care for serviceberry trees. ‘Autumn Brilliance’ serviceberries (Amelanchier x grandflora) are a cross between A. canadensis and A. laevis. Its genus name stems from the French provincial name for Amelanchier ovalis, a European plant in this genus and, of course, its cultivar name is reminiscent of its brilliant orange/red fall hues. It is hardy in USDA zones 4-9. The serviceberry ‘Autumn Brilliance’ has an upright, highly branching form that grows from between 15-25 feet (4-8 m.) in height. This particular cultivar tends to sucker less than others, tolerates drought and is adapted to a variety of soil types. While it is named for its notable fall color, Autumn Brilliance is just as spectacular in the spring with its display of large white flowers. 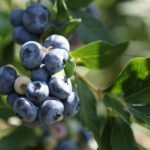 These flowers are followed by small edible fruit that taste much like blueberries. The berries can be made into preserves and pies or left on the tree for the birds to devour. Leaves emerge tinged purple, mature to dark green from late spring through the summer, and then go out in a blaze of glory come fall. Autumn Brilliance serviceberries can be found growing in shrub borders or along residential street planting strips. These serviceberries also make a lovely understory tree/shrub or for growing along woodland margins. Plant this serviceberry in full sun to part shade in average soil that is well-draining. Autumn Brilliance prefers moist, well-draining loam soil but will tolerate most other types of soil. Care for serviceberry trees, once established, is minimal. 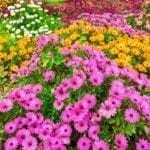 This variety requires little to no care, as it is drought tolerant and disease resistant. Although this variety does not sucker as much as other serviceberries, it still will sucker. 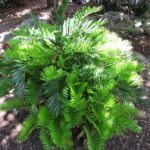 Remove any suckers if you prefer a tree rather than a shrubby growth habit.